Pentaho, the one stop solution for any Business Intelligence (BI) requirement, is one of the most sought after pioneer in the BI arena, which provides an entire stack of technologies, to cater to a multitude of service areas. Pentaho is a brilliant initiative by the Open Source community to offer organizations with a wide-ranging set of BI potentials that facilitate them to thoroughly perk up business performance, effectiveness and competence. Its commercial open source business model eliminates license fees and gives complete production support and services. 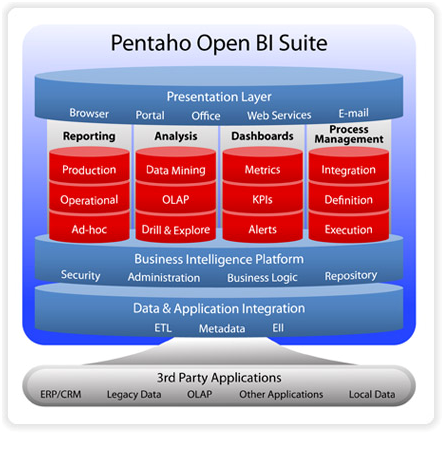 Why is Pentaho a leading BI suite today? SPEC INDIA, the single point IT hub for any type of software requirement, has mounting expertise in BI and Big Data services. We are proud global certified partners with Pentaho. 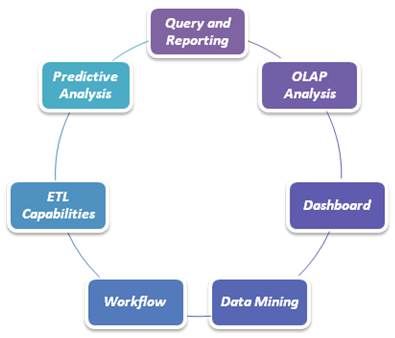 We provide end-to-end BI services across the entire Pentaho product stack (as mentioned above) across the globe. We also possess experience in integration of the Pentaho platform with CAS server and LDAP for SSO. We would be glad to serve any kind of BI requirement of yours, be it Architecture or Implementing, Onshore or Offshore, viewing a demonstration, calling for a meeting and anything more.